8K Video and R System Roadmap from Canon? The news of 8K video in mirrorless cameras is exciting on one hand, but also the feeling that you have to do another upgrade just as you’ve paid off your last lot of kit. The Canon R series will be the recipient of the 8K jump as stated in an interview over at Imaging Resource with Canon’s product-planning executive, Yoshiyuki Mizoguchi. The full interview gives some great insights into the Canon EOS R System, like that the RF mount is what Canon users have in store for the next 30+ years, just like with the EF mount. The interesting bit of information is how a future EOS R camera will allow 8K video recording and how video will be play a major role in future models as emphasized in the interview. It was also some nice snippets and hint to what the whole R system will deliver in the upcoming years, along with the existing lineup. One interesting point raised with the RF lenses was the advancement of the system held back as it had to incorporate the existing EF and EF-S mounts. The first response was, ‘that constraint is pretty much moot’ as there had to be compatibility with past lenses as standard with any new lens. Also, as it takes time to develop new lenses, so existing lenses can be used as the RF-series rolls out. One way or another, backwards compatibility was always part of the new design. How these older lenses will fare when 8K gets fully released is another question. This leads nicely to the matter of if Canon is going to continue developing EF lenses that work on the new system, along with new and unique RF lenses. It seems both, for example, the f/2.8 L series of zooms are Canon’s bestsellers, so it makes sense to offer these to the RF lineup, with the likes of a 28-70mm f/2 which will take advantage of the new RF mount capabilities. 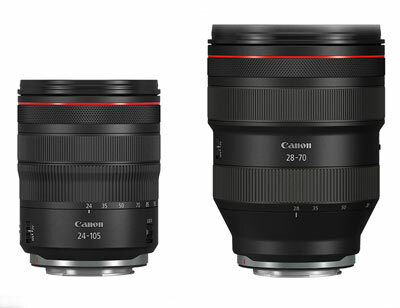 This ultimately means that it’s on the horizon for a 24-70mm and 70-200mm f/2.8 zoom lenses for the RF mount. How these older formats can take advantage of the new mount, we will have to wait and see. Mount adapters have not always have the most positive of press, so it seems the latest batch makes it as seamless as possible to use a wide variety of lenses on the EOS R camera. The new mount adapters won’t be just a bridge between camera and lens, but also to add a programmable-function control ring and/or ND filter equipped mount adapter. They should also be as fast as when using a native lens, which is a common grievance when using a lens adapter. Video features are clearly a focus for Canon and also the promise of many RF lenses with Nano USM. Video centric lenses or not, the inclusion of Nano USM will bring high-end AF performance and silent AF actuation, something that will appeal to videomakers, but also a welcome inclusion for stills. It’s definitely going to be a feature popping up in future Canon marketing and reviews. There is no definitive date for 8K being released, but stated as ‘On the EOS R roadmap’ with 8K in this context meaning sometime in the future, anything from now to the next six years. This was also the case when asked if the mirrorless systems could have the same level of autofocus abilities as the 1D X Mark II. The response, ‘but what we can say now is that the high-end pro-level model is already under consideration,’ at the least it’s on its way, just no definitive time range. Another important point addressed was if Canon held back the video features on still cameras so as not to affect Cinema EOS sales. This was pointed out not to be true, with the main reason being DSLR and mirrorless cameras need to be able to do both video and stills at the same time, so everything was designed with that in mind, which is completely different from the Cinema EOS system. 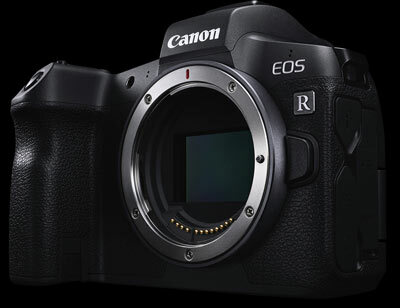 There seems to be a lot of innovation coming to the R series and the DSLR family and EOS M series will continue to grow, but there is always going to be an emphasis somewhere. This comes out further in the interview, ‘Currently, we have just one camera in the R series, and need to extend and strengthen that lineup. In order to do that, we need to focus on the EOS R system for the time being.’ However, much of the camera sales still belong to DSLR’s, so development isn’t going to stop abruptly on this front. But what about features to come in a little sooner? Mizoguchi-san says that features such as 4K without crop factor and in-body image stabilization features they are ‘aware of and are working on.’ There also seems to be an equal weighting for the DSLR and mirrorless market, saying that Canon will be ‘satisfying’ both areas, but obviously for how long. 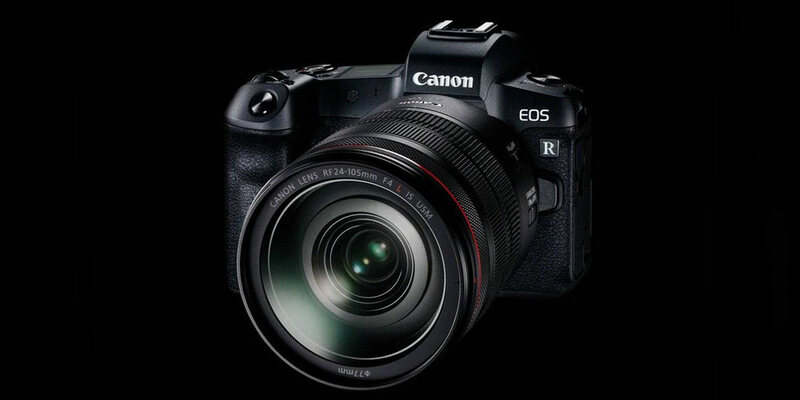 Another surprise was the announcement that to extend the EOS R camera line, ‘we are likely to launch an amateur model next to let a large group of customers step up and enjoy full-frame image quality.’ A pro level EOS R body is on the list, it just won’t be the first released. The current crop of RF lenses and the ones they intend to build show that their mirrorless designs are aiming for the fully pro-level. They already claim the ‘fastest full-frame mirrorless AF’ which is definitely something to build on. There’s far more competition than ever for Canon, but they still have lots to offer in the coming years with video and the R System.